Mari is a regular in our congregation. I understood her concern. She was a part of the tip of the 30-something iceberg that brought dramatic changes to our previously socioeconomically diverse congregation. When my husband and I co-planted Cityview Church, located in one of Pittsburgh’s Northside neighborhoods, we described our weekly Sunday morning gathering as an intersection in God’s Kingdom. At 50% middle class and 50% socioeconomically struggling, we were just that: an intersection. We were, according to one of our team members, our very own “island of misfit toys.” We met as haves and have-nots, housed and homeless, business owners and unemployed to understand the story of God as told through the life of Jesus. The environment was simultaneously challenging—and beautiful. But there were forces at work in our neighborhood that we failed to perceive until some from our church family, who also lived in our neighborhood, started to move away. They were forced moves—responses to rising rent and threats of eviction. At least one move was born of deception. One of our members, living in a home that she owned, came to church on a Sunday morning and announced that she had sold her house—for $5,000. This woman, desperate for income, heard that four-figure offer and sold her only asset for a fraction of what it was worth. At first, the broad scope of under-resourced people being drained from the neighborhood happened so slowly that it was hard to see. We were like frogs in hot water. Until eventually I woke up one Sunday morning and realized that my fragile and beautiful intersection of God’s Kingdom had transformed into a homogeneous group of middle class 30 somethings. They came (and brought their friends) because of the fragile and beautiful “vibe”in our church community. We were (and still are) a church family where relationships are primary. We work hard to make room for everyone at the communion table which is always followed by the lunch table. Our mission is to be present with everyone. We believed, then, that there was something about this mix of people that could be transformational for everyone. And then, in what seemed like an overnight change, our 50-50 socioeconomic mix morphed and solidified as an 80% middle class congregation. I understood why Mari questioned whether adding more of her friends helped our mission as a church family. I started to personally question whether we’d failed our neighbors by missing the signs of gentrification masked as “urban renewal.” I wondered if we, as the church planters, needed to move to a “first ring” suburb—a new but unfamiliar home to a lot of formerly urban, poor people. As a congregation, we took seriously Jesus’ call to bring the good news to the poor. But I didn’t know how to remain in community with people I was no longer in proximity to. I blinked, our context changed, and I lost my footing—and ministry strategy. We held on to the truth that we felt a call to this neighborhood and the truth that this congregation was given to us by God. That’s not everyone’s context, but it was ours. So, we decided to stay put and let God lead us through this new ministry landscape. I need to confess. I prefer to write like an expert, as if I have the wisdom and experience to address whatever might come my way in this transitioning neighborhood and church family. But the truth is if I ever did write the manual on “Maintaining Missional Traction in a Rapidly Gentrifying Neighborhood,” by the time I convinced you to buy it, your neighborhood would have changed again! In fact, so would mine. That being said, I do have a few thoughts. We’re experimenting our way through this new landscape, so I’ll tell you about our experiments—and you can tell me about yours in the comments. The Rev. Duke Kwon, pastor of Grace Meridian Hill in Washington, D.C., speaks of “ecclesiastical reparations” in this podcast from Truth’s Table. I am stealing this term for our purposes here. Practicing ecclesiastical justice in worship, for us, includes maintaining practices that make room for those who’ve been displaced. In our congregation, that sometimes means pursuing the integration of the music of those who have been pushed out. In our context, that means that sometimes, our mostly white crowd is invited into the beauty of Gospel music—not solely for their experience, but as a reminder of who’s not presently in the room with us. Ecclesiastical justice in worship also means making room for anyone to contribute our weekly family dinner after the service—not just those whose paychecks make it easy. Consequently, for the few, under-resourced folks who remain, the message is: you matter. We’re still figuring this out but, in short, we are resisting the tendency to shift our worship and gathering practices to suit only the needs of those who are present. We meet in a community center that we are grateful to own. Practicing adjacency involves us intentionally offering space to ministries serving the vulnerable. 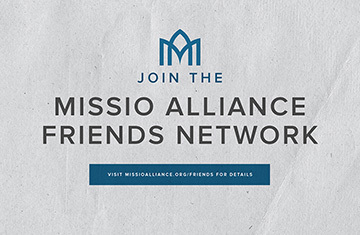 Hosting these ministries creates an opportunity for mutual, organizational service and support. We help each other live more fully into our various calls to kingdom ministry. I wanted to find another “practice” sub-title, but there is an element of a “kitchen sink” mentality to our efforts. Right now, we’re running an experiment in hopes of launching a grant-funded test of a micro business (or side hustle, depending on where you live!) incubator. The key here is that we’ve targeted a local, low-income high rise; our hope is to practice adjacency, solidarity, and justice as we discuss dreams and hopes with those who’ve been hidden away from our redesigned, urban main streets. We have no idea if this idea will work and we will work hard with our new friends to find success. But we’re committed to journeying together, wherever the road leads. The landscape may have changed for us—but the mission hasn’t. Now it’s your turn. Has your context changed? How did you respond? Jesus Moved into the Neighborhood: Do We Have Eyes to Recognize Him?